If you're interested in learning the basics of antenna and microwave device modeling, then tune into this 18-minute webinar. 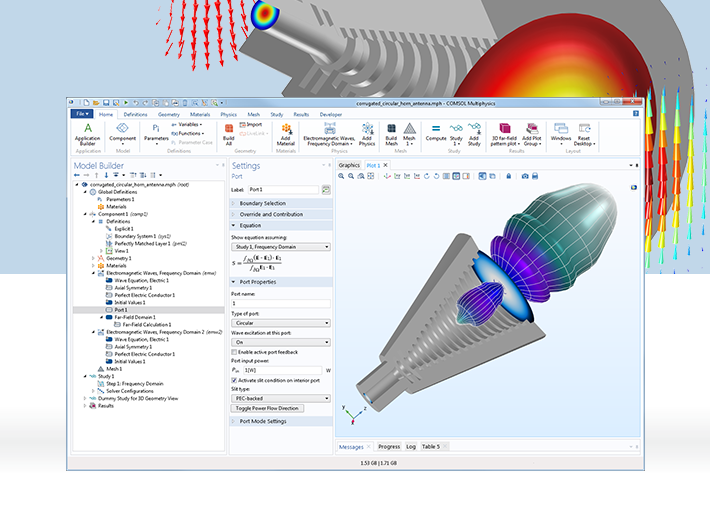 In this presentation, you will get a demonstration in the COMSOL Multiphysics® software on how to set up a model by choosing physics, proper boundary conditions, and material properties and then solving and postprocessing a microstrip line and a printed dipole antenna. We will also show how the model can be extended to simulate more advanced devices, including several physics affecting your design. Log in or sign up to register. A COMSOL Access account is required to attend Webinar Basics of RF Module in 18 minutes.